Day 2 was a big jump from the opening night as the players all settled into their games nicely after getting that first game out of their systems the day before. Teams really competed at high levels and made their push towards Championship Sunday behind some big efforts from the young hoopers all day long. Meanstreets got big-time play out of Tyler Beard and company, while Reggie Bass wowed with some spectacular play for Team Teague, and Mac Irvin got solid contributions from a number of players as well. Others also put together some outstanding overall performances during the day and you can catch who the top performers and stock boosters were from Day 2 below. Barnes was really tough for the Wolves in a nice win later in the day. He was active on both ends of the floor and really stretched the defense with his size and ability to play and make shots from anywhere on the floor. He knocked down the three-ball, he attacked the rim and made plays at the basket and was tough to get around defensively with his length on the perimeter. Bass was outstanding in a couple games for Teague on Saturday. The good-sized lefty has a smooth shooting stroke and really made teams pay for leaving him open or giving him space to drive and get a path to the bucket. If they laid off or were late getting out, he sank three’s and if they gave him a lane line, he was slicing down it and finishing with good touch at the rim consistently. He had a big day for his team in a couple tough victories. Beard is so tough from start to finish that even when a play doesn’t go right for him, he still makes the play with his determination and tenacity. His effort won him a lot of buckets, but he also played with skill and quickness. Beard flew up the court often and was finishing at the rim through contact. He made a couple nice buckets away from the hoop as well and was a force defensively. Bynum plays with more length than his height suggests, and he really used it well Saturday morning in a closely-fought Mac Irvin win. Bynum made several plays with his hustle and effort in transition, causing turnovers defensively and getting up the floor in a hurry for the finish at the other end. He also made some big shots and was knocking down from outside with those. His play down the stretch really made the difference for his team. Grubbs played with excellent energy and was a key figure in leading his team to a solid victory Saturday night. Grubbs has great size and used it well both going to the basket and making plays from the perimeter for himself and his teammates. He saw the floor well and created, and also finished going to the basket. Defensively, he used his size well also and did a nice job finishing plays on the boards. Newell was a force on both ends of the floor for a talented Meanstreets group. He used his length and athleticism to be disruptive defensively, and then was off and running with his teammates where he finished off several plays, a couple of which he flushed home with dunks. He was active rebounding the basketball and also showed range, knocking down the three. Parker was awesome for Mac in a solid late night victory over Swing on Saturday night. The Rockford East product made the defense pay anytime they left him open and gave him room to operate going to the basket. He finished buckets, rebounded the basketball some and gave great effort throughout the game in helping pace his team. Petty had a really nice game all-around for his team in a win later Saturday. The 6-6 wing was making plays from the perimeter and going to the hoop, making life really difficult for the defense. On the other end of the court, Petty was solid as well and helped his team put the pressure on the opponent before flipping the floor in transition for buckets. The Sun Prairie lead guard put together a fine performance for the Swing on Saturday night, making plays all over the court and knocking down shots. Schaefer was quick with the ball in his hands, put nice pressure on defensively and then when he was afforded open looks, he made the defense pay by burying the shots. 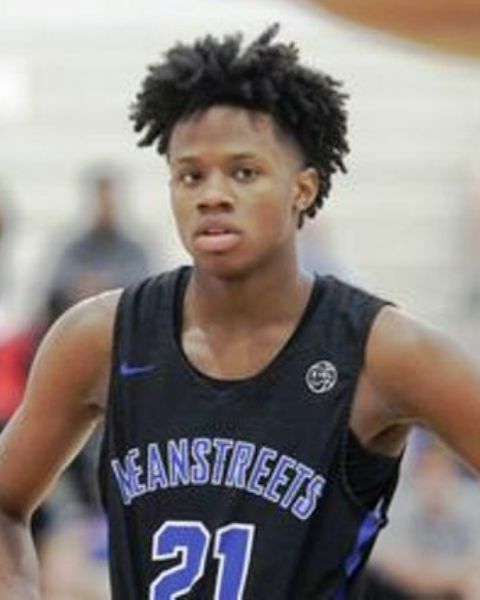 Steward was up to his usual high level of play again on Saturday in a big Meanstreets victory. Steward hit some shots, slashed to the hoop off the baseline and finished plays at the rim with good balance and a nice touch at the hoop. He played with great control on both ends of the floor and showed why he’s being recruited by some of the top teams in the country. Weston had a big game for Mac Irvin in their final Saturday game, making plays all over the court for his team. He was able to attack off the bounce some and get to the basket for a few strong finishes, and made some nice shots as well. He was good defensively, and rebounded the ball well, really showing good hustle and effort throughout the contest. White is a really talented young guard prospect that put those skills on display right away to start the morning Saturday. He was hitting shots from outside, doling out no look passes on the money for assists off the bounce, and euro-stepping by defenders in transition with good touch on the finish. Look for him to be a top prospect to watch throughout the spring and summer with play like he did Saturday. Wetzel really showed up and showed out with a solid game during the day Saturday. His play was pivotal to their big win. He was excellent in the transition game, getting out behind the defense on the break and finishing some nice play that way, but also getting to the cup in the offense as well as showing off his outside ball with some nice three’s. Williams really impressed with his athletic ability and his explosion to the hoop on several different occasions, standing out amongst a talented group of teammates who also had great games. Williams came strong to the hoop off the baseline a couple times and finished with authority, and was great in transition as well as boarding the basketball on the defensive end. Yoder gave a really strong effort and made some solid plays for his team in a tough game on Day 2. He handled the ball well and used strong moves to the hoop to create space on the attack for finishes around the basket. He also knocked down some shots and gave his team energy with his leadership and hustle throughout the game. Johnson played really well early on in the Playmakers’ morning game. He knocked down some tough shots and helped his team come out firing on target with his shooting display. Johnson did a nice job getting teammates the ball in scoring positions though as well and was solid defensively and on the glass. 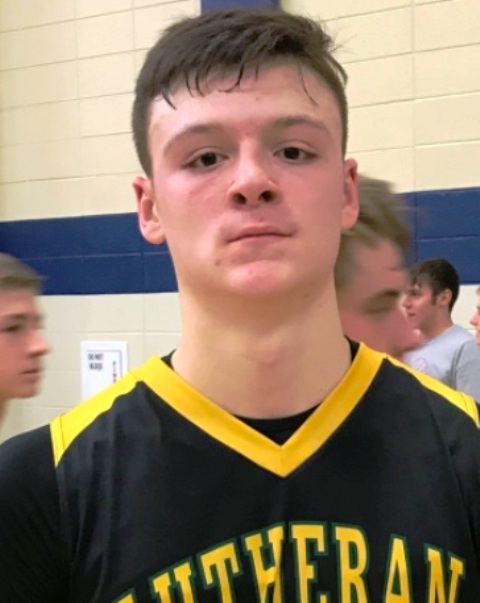 Kress played with a ton of effort and was quick with his hands defensively, deflecting some passes and/or coming up with steals bearing down on the opponent’s ball handling. He finished some transition opportunities, and knocked in a nice turn-around jumper at one point, while also energizing his team with his overall play. 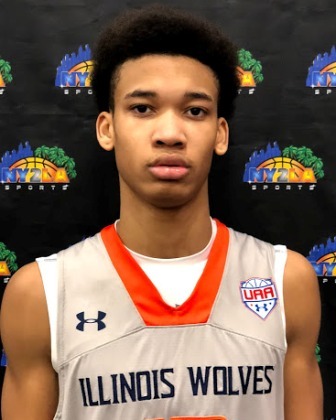 Moore played really steady and under control for the Wolves’ Saturday evening, using dribble penetration to create good scoring opportunities both for himself and his teammates. He hit the three-ball, scored on the drive and shared the ball well at various times throughout the game. The big man from Clarkston put together a really solid contest during the day, displaying some nice tools offensively. He had great balance and control, he caught the ball, gathered himself and went up strong to the hoop for the finish, sealed up well and finished off the catch, was tough defensively with his size and rebounded strong. The big man from Sheboygan had his best game of the tournament to date on Saturday night. After a slow start he bounced back with a 14 point 15 rebound effort that included a little of everything. He attacked the glass, contested shots, he showed an ability to run the floor and finish while also posting up and stepping away from the basket and hitting a three point shot. On a team that's loaded with high major talent, Ognacevic fits in nicely and his ability to do a little bit of everything stood out and he fits in well alongside Beekman, Brakefield, etc. Remme mixed a lot of hustle with some good skills on each end of the floor to really show he should be watched this grassroots season. With good size and length for the position, he has some bounce in his game when attacking the rebounds or going to the rim, and he also showed he can knock down shots from the perimeter. Tough player with much energy start to finish. Rivera joined Meanstreets this year and proved once again why he is one of the top players in the area. He can play on each level of the offense, but really excelled Saturday from the mid-range area where he could catch and go to work, finishing up around the rim with some nice buckets. Smith has good length for the wing position and played with a lot of bounce and determination on Saturday. He was tough going to the rim, flew in transition and slammed one down for the finish, and he knocked down shots. Walker was hungry Saturday morning and went to work with his burst and quickness attacking the basket. He can finish with a variety of moves as he displayed in their morning run, and was also good from the perimeter. He showed quick hands with his on-ball defense as well racking up a few steals. 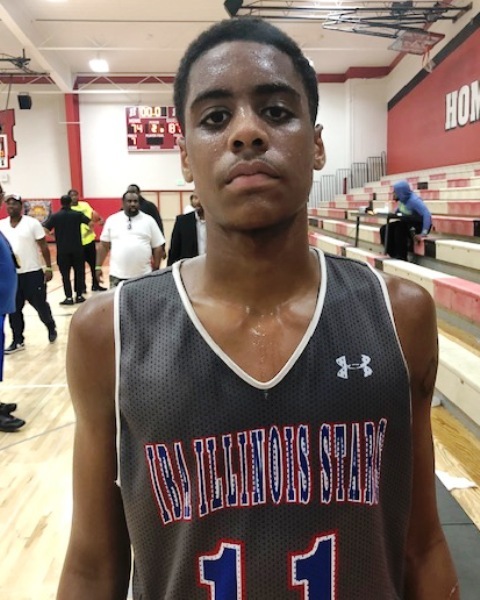 The Marian Catholic standout was another key piece to the Meanstreets lineup on Saturday where he broke defenders down regular with his dribble penetration and was just smooth stepping through or past the opponent and finishing with touch at the basket. Ulis is more of a technician, and plays with an ease about his game that makes him difficult to defend in the half court as he was able step back and bury some shots from the outside as well.